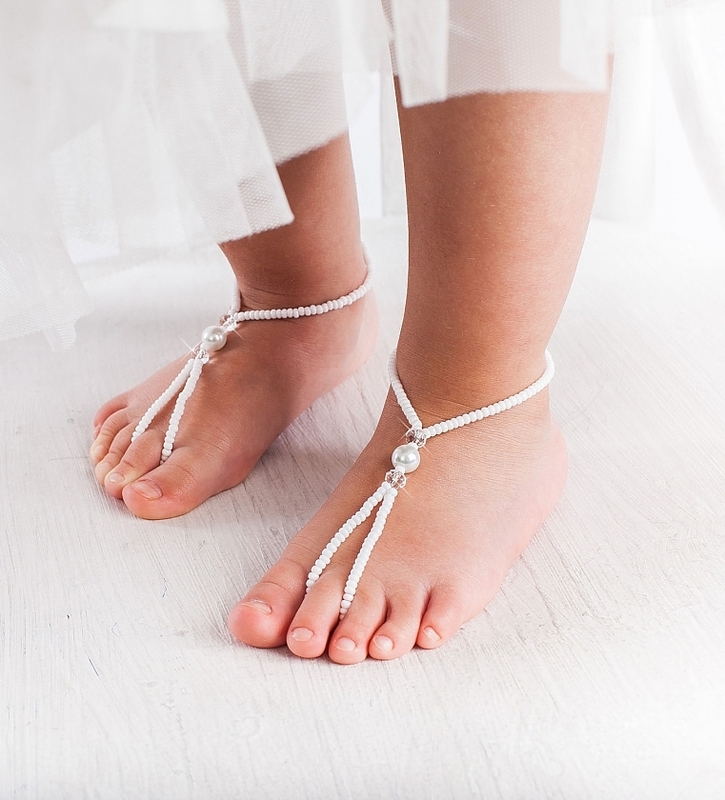 Don’t fight to keep fancy shoes on in the sand – style flower girls and junior bridesmaids with barefoot sandals for the perfect mix of sparkle, elegance, and fun! Also great for a beach-themed first birthday party or even for a christening, these dainty pearl full-foot anklets sparkle with crystals and Czech glass pearls. Also available in adult sizes, these footless sandals are hand-strung on stretch cord, so they’re comfortable to walk, run, and dance in. They’re also safe for toddler feet (as long as they’re supervised!) and they can be re-worn for dress-up and for pool parties, too. Just choose your child’s size from the drop-down menu when you order. Provide an ankle measurement in the Notes to Seller, if you can, to ensure the best possible fit. And let us know if you’d like a custom pair in the colors of your choice!